I'm a sucker for gorgeous covers. I'm also a huge sucker for Greco-Roman mythology. No seriously, for reals. I took all the way to Latin IV in high school because of it. Percy Jackson and the Olympians is one of my all-time favorite series. So when I saw this Persephone-inspired story, I immediately knew I had to read it. It was actually on my list for a while, back before I had a Goodreads, and my to-read lists were on pieces of paper scattered around my room (lol). I finally read it sometime last year, but I reread it last week in preparation to read the third one. 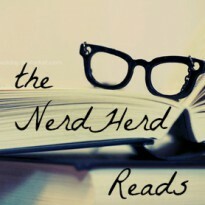 I ended up reading the entire series in about a week, including in-between novellas. Kate Winters is an 18-year-old girl who is just trying to take care of her dying mother. Her mom's last wish is to move to her hometown, so they pack up and move to Eden, a small town in the middle of nowhere. There, Kate meets James, the loner dork, and Ava, the jealous Queen B. Ava invites her to a party, but it turns out to be a prank--a prank that goes terribly, terribly wrong. Ava takes her to the Eden Manor, and then tries to leave her there, swimming away. But instead of swimming away, she hits her head on a rock. Then, a mysterious guy shows up, claiming he can heal Ava, and asks what Kate will do in return. When Kate says she would do anything, he asks her if she has read the Persephone story, gives her until the solstice, and brings Ava back from the dead. Kate thinks nothing of this weird encounter, thinking she has imagined the whole crazy thing, until solstice, when the mysterious guy, Henry, comes knocking on her door. She refuses to go with him, and the next day, Ava dies. She heads back to Eden Manor. There, Henry tells her the ultimate plot twist: he is actually Hades, god of the Underworld, and is looking for a bride. 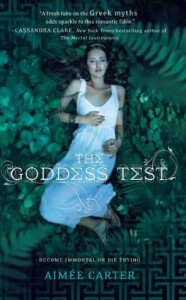 If she passes 7 tests, she will become his bride and queen of the underworld. If she doesn't succeed--or dies, like the 11 girls before her-- Henry will fade away and someone else will take his place as god of the Underworld. Like I said, I enjoy mythology, so I enjoyed seeing the different gods and goddesses from a different point of view. The story was well-written and fun to read. It kept you engaged the whole time. You get caught up in the story, wanting to figure out the mystery of who is killing the girls as well. Finding out which servant is which god is surprising, as well as the plot twist at the end of who is actually killing the girls. The only bad part was Kate's whining about how Henry doesn't show her love the way she wants. I mean, he has been single for a thousand years, and before that, he was with Persephone for a millenia. That's not something one forgets easily, and her mere 18 years can't wrap her mind around that. But other than that, it was a really good book.